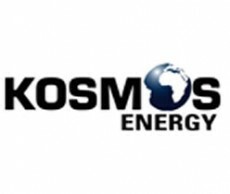 An International oil company, KOSMOS in partnership with DAI and Meltwater Entrepreneurial School of Technology (MEST) has opened KOSMOS Innovation Center (KIC) on March, 15 2016 in Accra with the goal of making technology available to inspire entrepreneurs to transform Ghana’s many development sectors. The initiative will raise corporations to tackle challenges together through workshops, conferences, and other events by bringing together the best and brightest minds from a range of fields, such as business, technology, finance, academia, and other specialists to talk through the issues encountered in a particular sectors and provide innovative solutions using Information and Communication Technologies (ICTs). The KIC in its first year, will focus on agriculture, the largest sector in Ghana’s economy. It will challenge young entrepreneurs to use technology to develop commercially viable solutions to address challenges within the sector with issues like capital investment and technical assistance.